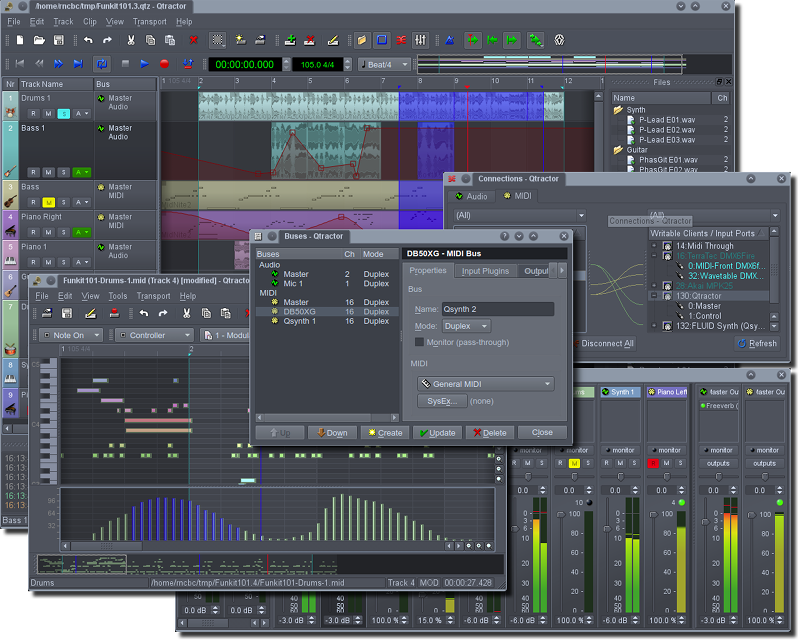 Initially Qtractor born as a sequencer to be used mainly with external MIDI devices. Along the years, it was enriched with more features who trasformed it in a more powerful digital instrument. Nevertheless, Qtractor not be confused with a DAW – really strict – but neither with a more customizable modular system: Qtractor is a hybrid, with some features of each of them. It is useful both for a newbie or a professional musician. A screenshot with many different windows of Qtractor. As mentioned starting, Qtractor is available only for Linux operating system, and it’s based on ALSA (Advanced Linux Sound Architecture) and Jack (Jack Audio Connection Kit), to support all IO activity. and many more, which you can read here. To download Qtractor follow this link to the official page. Have you ever used this software? Every suggestion is appreciable.